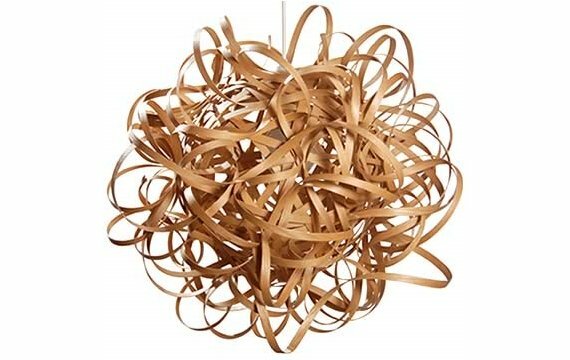 British designer Tom Raffield has created the Ash Pendant lamp. This beautifully sculptural form is created with 80 metres of steam bent strips of English Ash, woven, coiled and twisted around one another. 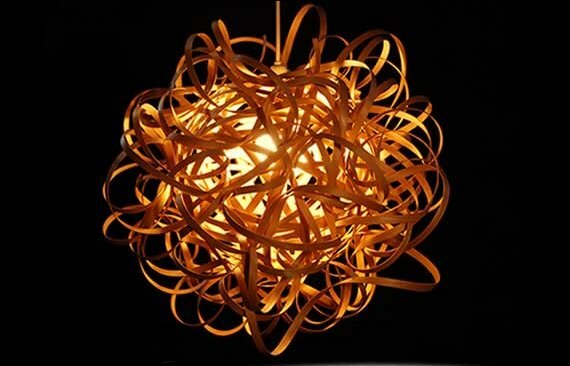 Whether the light is on or off, this is a unique and stunning lampshade. Each one is handmade, signed and dated by myself. Visit Tom Raffield’s website – here.